This use to be one of our weekly staples, maybe a little too much, so we took a break, but this was always a hit with everyone so thought I would try it again today. And after tasting it just now, I’m not sure why we took such a long break. 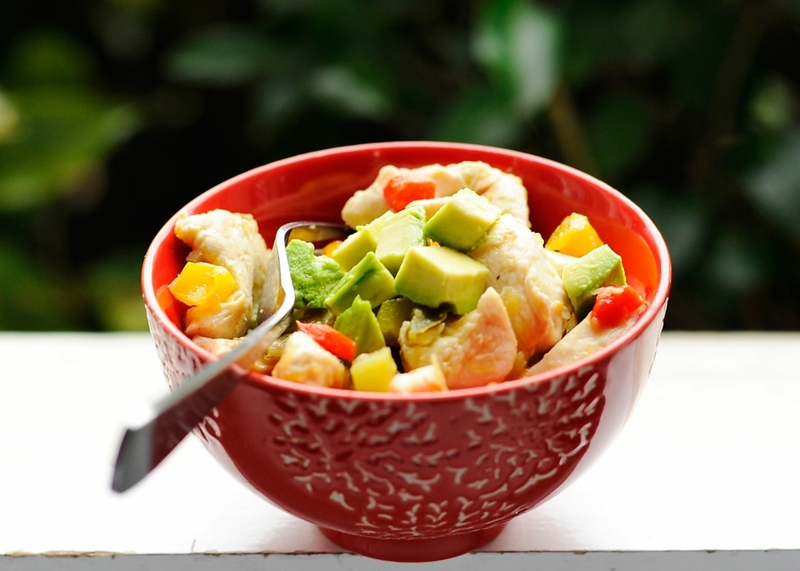 This is so yummy, and of course, so easy! I love that you can buy precut tri sweet pepper mix from Trader Joe’s or Publix. I just don’t need 3 large peppers. Plus, this was saves time of course, and some money since I’m just buying what I will use. 2. Put 1-2 tbsp coconut in a pan and heat. Cook chicken until brown. 3. Then, add peppers back in the pan, along with TJs Salsa Verde, and simmer about 25 min or until chicken is done. If 1 lb chicken, then use 1 jar salsa and if 2 lbs, then 2 jars. Garnish with avocado, cilantro, tomatoes. You could also pour on top of cauliflower rice. Yum! Enjoy! 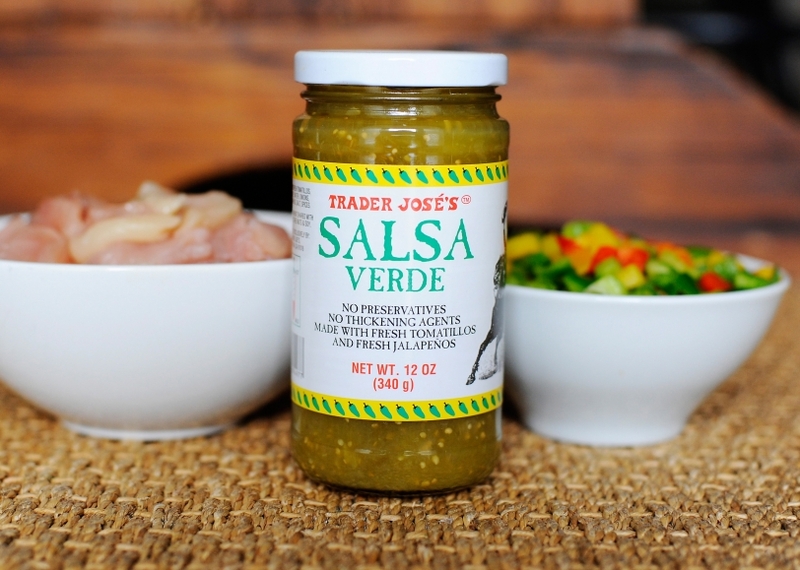 Welcome back into our family salsa verde. We’ve missed you! By the way, this salsa is great for chicken, white fish, crockpot dishes, in salads, you name it. It’s great stuff! Virginia Pope - We loved this dish! Eleanore - Thanks for sharing! We enjoyed it tonight. Why coconut oil? Are there health advantages over usong EVOO? Hard to find is it? I struck out at TJ’s. It’s amazing stuff. If you’re really interested to learn more about it, I’d recommend this book.